Yesterday, we were treated to the latest trailer for Sony's Venom, and now we have an international poster and trailer as well. While the international trailer is pretty much the same as the North American version, it does offer up some new glimpses at the symbiote and its insatiable appetite. As for the new poster, it features a tongue that would make KISS's Gene Simmons jealous. It appears that all of the latest promotional material for the upcoming film was footage that was shown off at San Diego Comic-Con a few weeks ago. Sony unleashed some brand-new Venom footage at Comic-Con two weeks ago and the response was very enthusiastic, to say the least. Now, we have a better look at Riot as well as Venom than ever before. Tom Hardy's Eddie Brock is beginning to learn that there are some benefits to having a "parasite," as he calls it, while showcasing an intense hunger for human body parts, listing which he will eat first before going in straight for the face. When Sony first revealed teaser footage from Venom, many fans were disappointed with what they saw. There were only hints of the symbiote and nothing that viewers could sink their teeth into. That all changed with the release of the full trailer, which gave us our first look at the symbiote in all of its glory. However, comic book fans were angry about Tom Hardy's voice in the film, but now that we've been shown even more footage of the epic R-rated thriller, all of those initial complaints are falling by the wayside. It was previously thought that Riz Ahmed was going to play Carnage in Venom, but that was proven not to be the case. Instead, Ahmed is portraying Dr. Carlton Drake, who is one of the several hosts that Riot ends up taking over, which is just as exciting. Riot is briefly shown in the newest North American and international trailers, and the fight with Venom looks truly awesome. We're going to see some pretty intense scenes when Venom hits theaters this October that follow the Lethal Protector storyline. 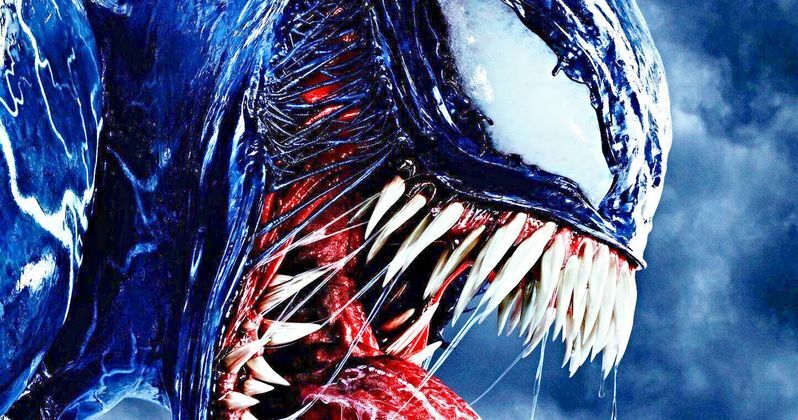 The R-rating for Venom is also prominently showcased in the latest trailer. The horror elements as well as the violence have all been kicked up a notch, which has in turn, set up some real hype for the movie. While we've been teased with all of the Riot footage, comic book fans are still wondering about Carnage and how that character will fit into the storyline. It's believed that Woody Harrelson is playing the villain, but there has been no official confirmation as of this writing. Confusing fans even further, it is still not clear if Tom Holland will make an appearance in Venom as Peter Parker. It looks like there are still plenty of mysteries to be solved about Sony's Venom. You can watch the new international trailer below, thanks to the Sony Pictures YouTube channel.